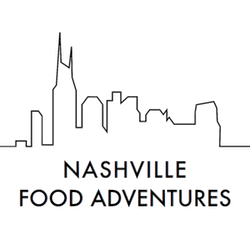 Whether you're traveling solo, visiting with friends, or organizing a corporate outing, Nashville Food Tours has the experience for you! Offering our Nashville Food Adventures Driving Food Tours and our Bites & Sites Walking Food Tours, we cover more food, drink, and areas of the city than you'd think! Our Public Tours are scheduled on our calendar, where anyone can easily sign up to join, and we offer private tours virtually any day or time. Choose from our "Taste of Nashville Food Tour ", "Discover Nashville Food Tour", or "Music City Bites & Sites Food and History Tour" for overviews of Music City and her outstanding local cuisines. Or, if you're more interested in a specialty tour, check out our "BBQ Pit Stops Food Tour", our 'Music City Beer Hop", or our "Global Eats" tours for tasty tours of our best barbecue, craft beer, or ethnic foods. Private groups can also experience iconic landmarks alongside delicious foods with a food and sightseeing guide and artist on our "Nashville Photo Safari" tour. We work with dozens of restaurants, breweries, distilleries, and fun boutique eating and drinking places, so it's fun and easy for us to customize a tour for your group. If you don't find the tour you're after in our standard offerings, just contact us! We can't wait to tour with you!